Westland 'Garden Health' 33 litre Growbag provides gardeners a good value ready-to-grow growing compost popular for growing home grown salad, vegetables or herbs. Suited for growing shallow root vegetables such as tomatoes, cucumbers or peppers and many more. 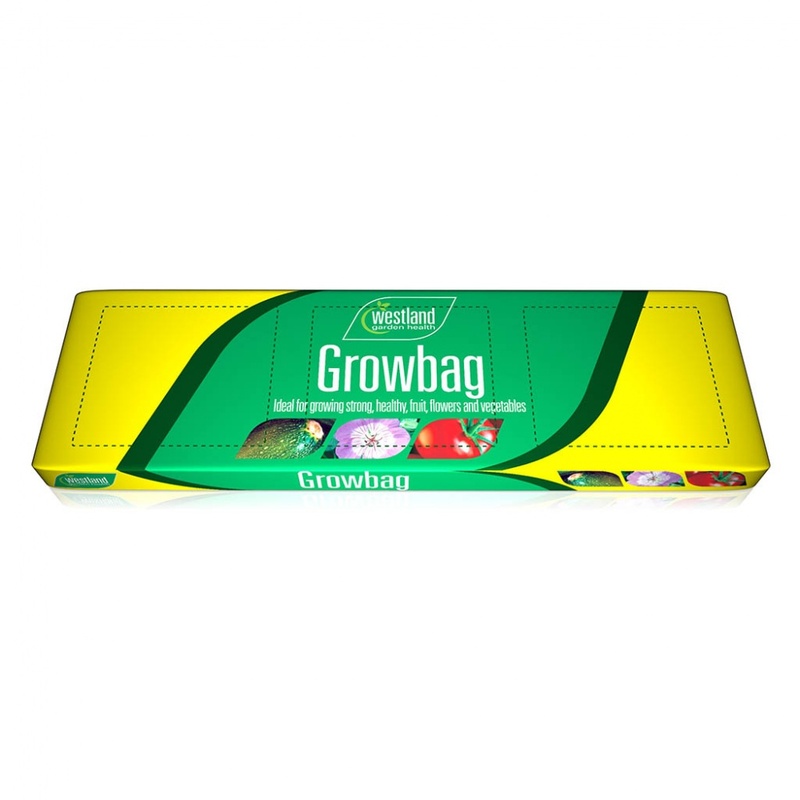 Growbags simplify home growing, simply place growbag, cut out pre-marked growing holes, insert plants seeds or seedlings, water and support plants as they thrive. 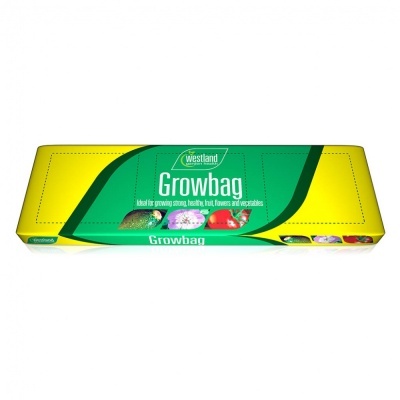 Growbags are suitable for ground placement inside a growhouse, greenhouse or on a sheltered patio or balcony position.